If you want to sell your car, you need to know a few things before doing so. Here are tips on how you can sell your Sports car the best way. • There are different ways you can sell your Sports car. You can go through a dealership or you can sell it yourself. It is more convenient when you sell your car to a dealer, but your car may be priced below what you anticipate. On the other hand, you can get a better price if you sell it yourself, but it will take much of your time and effort. • Whether you decide to enter to a dealership or sell your car by yourself, you need to know the market. Research how your type of car sells today and look for what other buyers at looking to buy. This way you can price of your car accordingly. 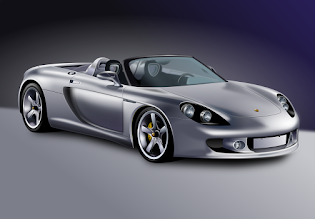 You should highlight the features that your sports car has in order to match the desired market. • Choose how you will advertise your car. You can simply put a “FOR SALE” sign on it so that every where you go you advertise it, or you can be more serious about marketing and place an advertisement online or inn the classified ads of your local newspaper. If you decide to place an ad in the classifieds or on the net, provide a photo of your car to make it more appealing to buyers -so get out your camera and take pictures of your car! • Use unforgettable statements to give your sports car “charm”. Match these comments with your markets needs; highlight the excellent features so that they can be easily noticed. • Assess your vehicle and price it reasonably. As mentioned make a research on how cars sell are selling. If you price your car too high, chances are you will lose the sale. However, by putting a very low price on it will you will incur a loss. • Set up your car for the show. Your sports car is the star of the show, so it should be in tip top shape. Take the necessary measures to entice buyer have the engine tuned-up so it runs well. • Keep a record of all the services and repairs of your vehicle. Some buyers also look at these records to determine how well the car was maintained. These records also tell if the car is in good condition. 0 Response to "Tips on Selling your Sports Car"